When someone (like Lenovo) says that they’ve got this laptop that runs on a cell phone processor, and that they’re calling it a “Smartbook,” your first thought might be a mental eyeroll. So it helps when someone (like Lenovo) plies you with alcohol and desserts, and then points out that it’s really a pretty decent idea. The Lenovo Skylight has a 10 inch screen, a full size keyboard, and integrated WiFi and 3G, all of which you’d expect in a mobile connectivity netbook. It’s missing three things that you’d also expect: a 2.5″ hard drive, Windows, and an Atom processor, and Windows. Instead, it uses a couple microSD cards (one of which is swappable), a customized version of Linux, and a 1ghz Qualcomm Snapdragon processor with 512mb of RAM that’s strong enough to play back 720p HD video. Put that all together and you get a lot of functionality coupled with a 10 hour battery life (think 6-8 in normal use) in a wicked skinny package that weighs less than 2 pounds. The OS is heavily focused on web integration, as you’d expect from such a low power computer. One of the most interesting physical features is a long and skinny USB accessory slot… They had a 16 gig USB drive in there, but hypothetically, you can plug anything you want into it, like some extra media buttons or maybe a webcam or something. Lenovo is still working on their customized operating system, video playback, and other stuff like the touchpad. Everything should be ready to go by April of this year, when you’ll be able to pick the Skylight up for, uh, $499. Another option will be to buy it along with a 3G data plan from AT&T, which will likely subsidize it quite a bit, but still, for what it is, that seems like a lot of money… Even if it is so little and roundish and cute. By Shane McGlaun on 04/27/09 • Leave a comment! Before the netbook revolution, if you wanted a tiny and very portable computer you had to go with a 12-inch notebook or move down to the even smaller UMPC often sporting screens of 7-inches or so wide. The catch was that the tiny computers offered keyboards typically only suitable for thumb typing. Among the UMPCs on the market was the OQO Model 2. 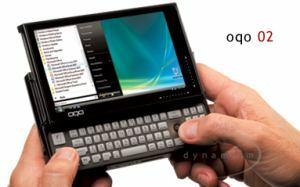 At CES 2009 OQO unveiled its Model 2+ that added an Intel Atom processor and offered a touchscreen as well. The machine was slick, but still had the tiny thumb keyboard that was a deal killer for me. By Shane_McGlaun on 10/31/07 • Leave a comment! 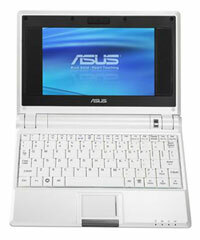 A few weeks back we talked a bit about the ASUS Eee PC and its small size perfect for kids and web surfing. If you have been waiting to get your hands on an Eee, now is your chance. Newegg.com currently lists the ASUS Eee in stock for $399.99. That’s more cash than ASUS promised when we first heard of the Eee, but still a bargain for a capable notebook. 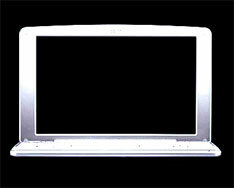 The system uses an Intel CPU, a 7-inch screen and has an 800 x 480 screen resolution. Storage space is 4GB of solid-state storage and the OS for this machine is Linux. You could run Windows XP on the Eee if you are so inclined. If you need a second computer for someone who only surfs the web or chats, the Eee could be perfect for you. Remember the Palm Foleo? No? That’s okay, it was never actually manufactured, but it was supposed to be a smartphone accessory that would supplement your phone with (among other things) a 10″ screen and a full keyboard. Palm canned the idea last month, but i-mate is trying to develop nearly the same thing. They’re planning to introduce a “shell” that will provide their Ultimate line of smartphones with a 1024×768 display, a keyboard, and an 80 hour battery. I should probably mention that 80 hours of battery life seems pretty darn optimistic for a 1024×768 display, and the site reporting this (Ubergizmo) doesn’t cite any source. So, take it with a grain of salt or five… My guess is that it’s a typo and they meant 8, but I’d love to be wrong. The shell is rumored to cost around $300, with the smartphones starting at $600. A lot of people (including Palm, perhaps) thought that the Foleo was a lousy idea, since it was as large as a small laptop without offering the same functionality. Personally, I’ve been looking for something portable with a decently sized screen and keyboard that I can use exclusively for internet, email, and displaying pictures and the occasional video. My only criteria are a pricetag of under $800 and a reliable battery life of over 4 hours, and the best I can do is a 15″ Dell Vostro that weighs 6.3 pounds. I think there is certainly a niche for an accessory that solves the two major problems with phones (tiny screen, tiny keyboard) with an appropriately tiny form factor and price, especially since more and more can be done using the internet as a virtual processor (i.e. Google Docs). Meh, maybe I’ll just wait for the Asus Eee to show up. 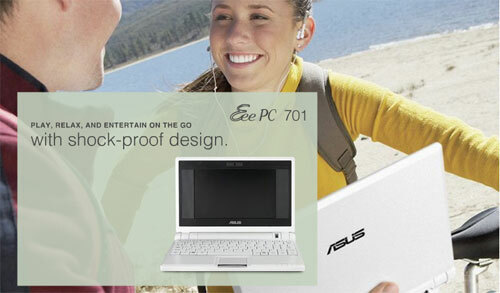 Asus has a new line of UMPC’s that are called Eee for easy to work with, easy to learn, and easy to play. While the UMPC isn’t a new product with lots of them on the market, what is new is a UMPC that is down right affordable with versions of the Eee going for a mere $200. Rumor has it that the cheapest version won’t be sold here in the states, but on the top end the Eee is reported to run around $400. You won’t get much in the way of performance for that amount of money with a small 7” LCD display, 512 MB of RAM, a small flash based hard drive rumored to be around 4GB and WiFi. Asus would undoubtedly alloy users to upgrade their Eee system with more storage and perhaps more RAM as well. The notebook is planned to weigh around two pounds and be an inch thick or less. This won’t be a machine for ardent road warriors needing access to office applications, but for those who merely want to surf the net and chat, the Eee might be just the thing. Heck, bulk this think up a bit with enough RAM to run Windows decently and enough storage for Microsoft Office and I’d buy one for under $500.